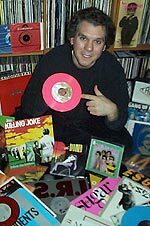 REELRADIO - The Scott Lowe Collection! 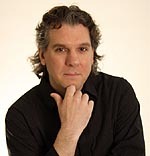 Scott Lowe's interest in radio took off in the mid 70s (at age 4), while he was glued to a transistor radio listening to Top 40 WEEX in Easton, PA. A few year's later, his parents moved closer to Philadelphia and his favorite stations included: Hot Hits WCAU-FM, WMMR and Rick Carroll's "Rock of the 80's" format on WIFI. While in the eighth grade, he started hanging out and doing shows for the campus station at Trenton State College, WTSR. 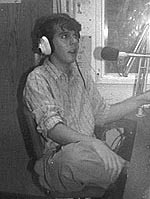 His professional radio career started at WBUX Doylestown, PA and WPST Trenton, NJ, both while still in high school. In the mid 90s, Scott went to Philadelphia to join the airstaff at WXPN and did both on-air and production for rock outlets WPLY and WYSP. He also spent fours years in Los Angeles, hosting a free-form music program at FM 89.3/KPCC, and he was Production Director for Modern Rock Y107. After L.A., he returned to the east coast for nights and imaging Production at heritage CHR outlet, B104 (WAEB-FM) in Allentown, PA. Most recently, he was the nighttime host for WHTG-FM in Asbury Park, NJ. Scott often calls himself a Radio Archivist and a Pop Music Historian, with a vinyl record collection of over 10,000 discs. In 2006, Scott co-founded a production company and has been involved with developing several video projects, including a feature length film. The Repository thanks Scott Lowe for sharing!
. . . Now, The Greatest Hits of All Time, on Solid Gold Radio . . . This unscoped hour of Jim Nettleton on WCAU-FM comes from a friend of mine in Philly, who does not collect airchecks, but recorded this on reel-to-reel in early 1972. It's an unscoped hour of "Golden 98" which was automated at the time. Nettleton (d. October 4, 2009) voice-tracked the Philadelphia station while he was working at WPIX-FM in New York.
. . . My theme song from the Stones . . .
Shana was my PD at KPCC. It took a while to convince her to dig up something from her Top 40 past, but she eventually gave in and passed along an unscoped hour from early 1976. It's the midnight hour at KFRC, and Shana is filling-in for Don St. John on a "Golden Weekend". The log is packed with ten minutes of spots (12 units), and five are live reads. Lots of Johnny Mann jingles are heard, along with the more contemporary package from Joseph P. Cuff. Later this same year, Shana moved down the coast to KHJ/Los Angeles. Shana passed away July 17, 2015, of unknown causes. She was 62.
. . . in twenty minutes, you're gonna be able to hear Stairway To Heaven by Led Zeppelin . . .
PD Bob Hamilton narrates this station presentation that takes us through the broadcast day at WIFI 92 in the "Bi-Centennial City". The on-air talent features Joey Morning Mitchell, Long John Wade, T.J. Lambert, Bo Weaver and Al Bandiero. Plus, you'll hear a lot of contests and winners' promos in this fast-paced eight-minute composite.
. . . As much a part of Philadelphia as tasty cakes and soft pretzels . . .
1540 WPGR was a 50,000 watt daytimer in Philadelphia that had been playing Oldies since 1981. With Jerry Blavat at the helm, the station became known as "Geator Gold Radio" in April 1992. I recorded this aircheck using the Sony digital receiver in the dashboard of my car. In this segment, Jerry is saluting the greatness of Philadelphia music. I have always enjoyed his bright delivery and how he shows his passion for the music. The Geator does it his way and often says, "I play my music from the heart, not the chart."
. . . There's a house across the street with a wooden moose in the front yard . . . This is not exactly a real aircheck, but it is 100% authentic Wolfman Jack! When I was working at B104 in Allentown, PA. (2005) I found a file cabinet filled with reels of the syndicated "Graffiti Gold," plus jingles and ID carts with custom Wolfman Jack liners for our sister station, 79 WAEB. Just for fun, I thought it would be cool to assemble an hour of Graffiti Gold with the customized WAEB material. I was careful to match the tempo of the custom liners with the talk breaks on the reel and mixed the levels to make it sound as if he was really there. From 1957 to 1983, WAEB-AM had a successful Top 40 format and continued with Adult Contemporary and Oldies formats through the mid 80's.
. . . I've got a cold date at the cemetery . . .
REELRADIO published an exhibit titled "Program Aids of 'THAT HAUNTING THEME'" on Sunday, September 27, 2009, and I suggested (in comments) that if anyone wanted to produce a Halloween show incorporating this "scary" 1964 radio station thematic package, I'd stream it. Scott Lowe responded, asked me to send him some production elements, and this was the result. I found it very enjoyable, with just the right blend of familiar and strange halloween music, sfx, gags and genuinely interesting factoids about the tunes. As I told Scott, it was like "listening to the radio again." And for me, particularly enjoyable because it was something produced for REELRADIO that, for once, was something completely new and fresh. Even better, I could find nothing seriously "wrong" with it, technically or formatically. I'm pretty picky about those things, so WOW - here's someone who still knows how to make a radio show and have fun with sound. 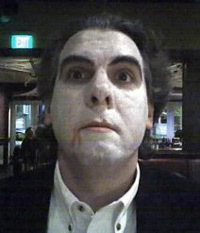 The number of listeners to our special Halloween stream for 2009 is a fraction of those who might sample Scott's program on a "demand" basis. So, it's a permanent exhibit because it was a wonderful contribution to our Repository and I want to share it with as many listeners as possible. Thank you, Scott! More to Come from The Scott Lowe Collection!